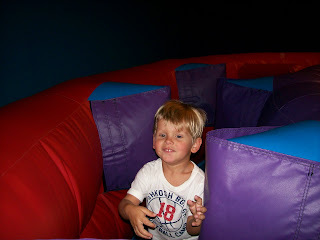 Dawson and I visited Pump It Up in The Woodlands, a wonderland of inflatable bouncers, mazes, slides, and more. 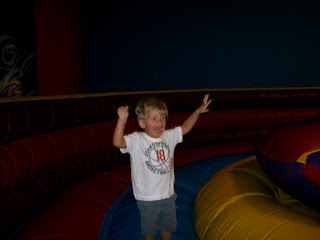 Dawson had a fantastic time. 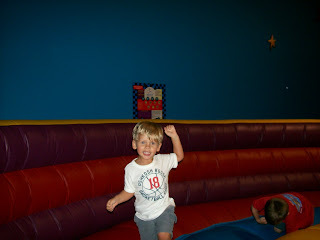 There were lots of other kids there so he really enjoyed interacting with them. 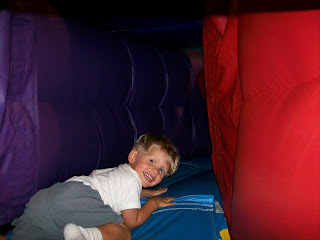 Of course, he still wanted Mom to accompany him so I enjoyed my fare share of bouncing, crawling through mazes, up ladders, and down slides. 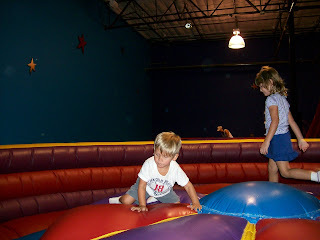 :-) It's great exercise and lots of fun. We'll definitely be visiting again soon.